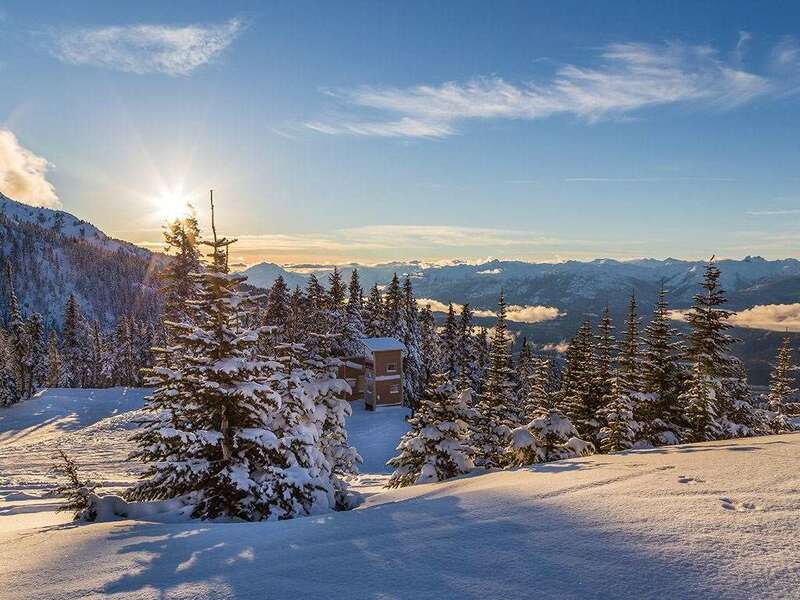 In the very heart of Whistler Village, the Westin Resort & Spa is perfectly located; surrounded by shops, bars and restaurants and with the gondolas to both Whistler and Blackcomb mountains just steps away. This large and modern all suite hotel is one of Whistler’s most luxurious, with truly 5 star furnishing and service. All 419 suites have been designed for the ultimate in comfort and luxury with breathtaking views of the mountains or village. They boast fireplaces, elegant bathrooms and subtle sophisticated décor. The hotel is suitable for both families and couples offering interconnecting rooms with a Westin Kids club on site (book locally). There is also an indoor/outdoor pool, indoor and outdoor hot tubs and a Eucalyptus steam room. The hotel is home to the award winning Aubergine Grill and the Firerock lounge in which to eat and guests can take advantage of the small on-site shopping complex offering ski hire, clothing and food. Next to the Whistler and Blackcomb gondolas. A modern, all suite hotel each with kitchen and living area. Heated indoor/outdoor pool, hot tubs, steam room, sauna and spa. Just steps from Whistler Village but in a quiet spot. Superb restaurant, one of Whistler’s best. Rooms have a full kitchens, bathroom with deep soaker tub, shower and WC, free WiFi, hairdryer, fireplace, telephone, iron/ironing board and 32`` LCD TVs with cable. Junior (Deluxe Studio) suites - sleep 2-4: Spacious suite with a queen or king bed plus a queen sofa bed. Suites with two queen beds can be requested but not guaranteed. One bedroom suites - sleep 2-4: One bedroom with a queen or king bed plus living/dining room with queen sofa bed. Two bedroom deluxe suites - sleep 4-8: Comprises of an interconnecting studio junior suite and a one bedroom suite.